Here’s the opener for a story I illustrated that was published in yesterday’s Financial Times magazine. 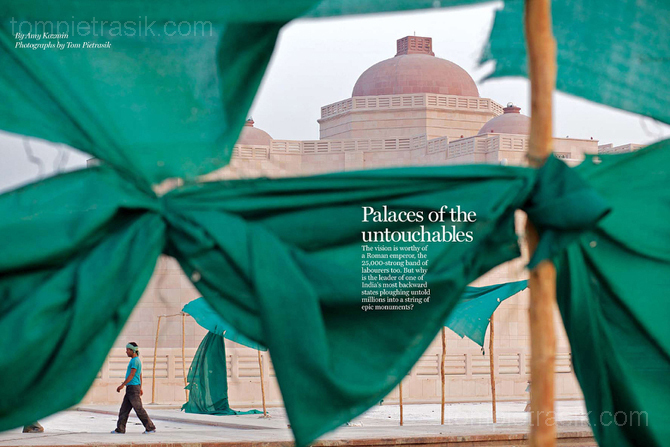 The feature looked at a huge architectural project currently nearing completion in the north Indian city of Lucknow. The project is the creation of Uttar Pradesh state Chief Minister Kumari Mayawati. Reporter Amy Kazmin and I faced several hurdles while covering this story including a rather lethargic attempt by officials to have us removed from Lucknow. Amy discusses this in her article here. 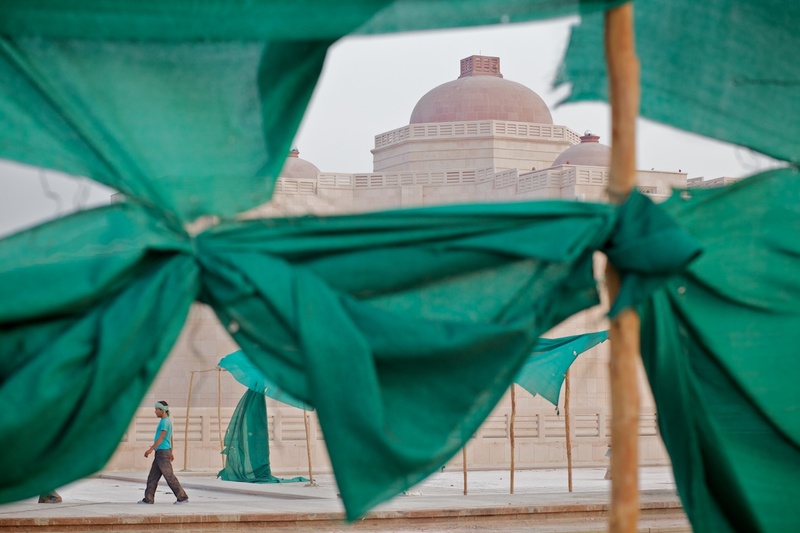 Stonemasons working at Ambedkar Park use a hosepipe to take a wash.
One challenge Amy doesn’t mention is the weather. As one billion Indians will testify, the month of May is not conducive to doing much beyond staying indoors and avoiding the sun. While we were in Lucknow the temperature rose to 45C. Election polling took place while we were in the city and the weather must surely have been one reason why voter turnout in Lucknow was only 35%. Fortunately I was able to devote most of my photography to the hours around dawn and dusk; a privilege not afforded the poor stonemasons working on site.